Ever have your waterfall dreams crushed by all the expenses of a fabricated real rock water feature. Not to mention the maintenance headaches and issues that arise over time. Here at Everything Waterfalls, we have the ultimate backyard waterfalls experience of phenomenal waterfalls just to turn you on to the art and hobby of water gardening for a fraction of the cost. Our specialized waterfall rocks are designed to be very user-friendly, maintenance easy and excellent for the do it yourself home owner. 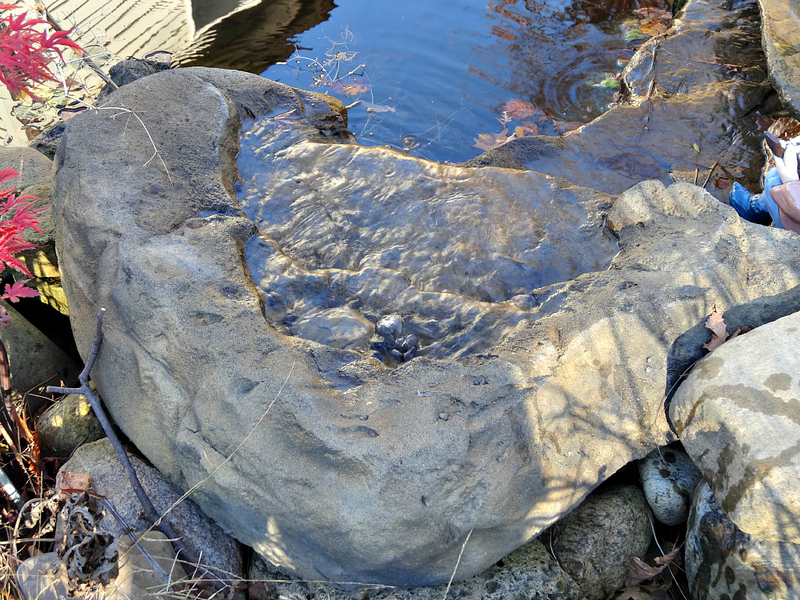 Our cascade rock UC-001 is our smallest of the cascade rock waterfalls and works excellent with many of our small prefabricated rock ponds. This is another cool Universal Rock design that can be used in different combinations with our other sizes of cascade rocks. 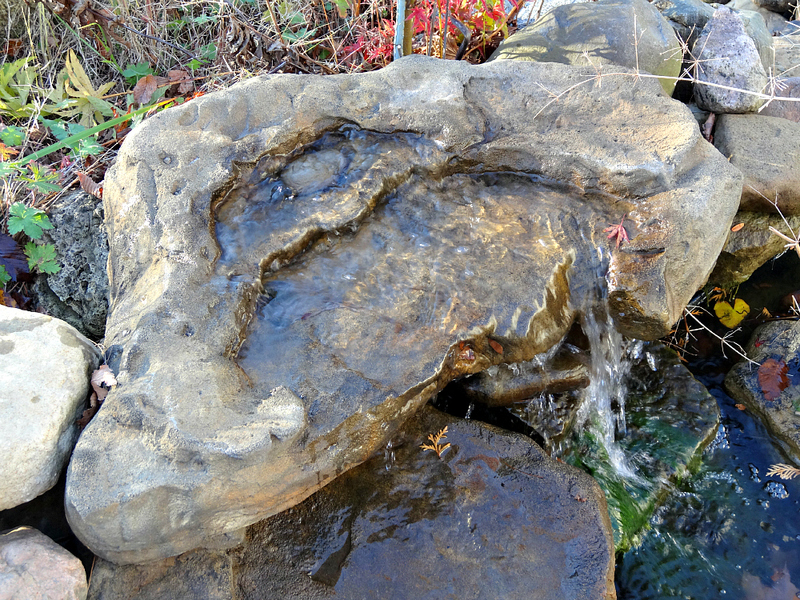 This gorgeous waterfalls is also offered in a few of our extremely popular garden pond waterfall kits. This small waterfalls is an excellent way to capture the soft and gentle sounds of a small brook or stream. What makes our garden waterfalls and pool waterfalls for the garden landscape look so unbelievably real? Our waterfall designs are all castings from real rock formations showing off their intense beauty and exceptional rock detail of many many years of climate weathering and erosion sculpting. This is a really cool way to capture nature's artwork and being able to use one of these incredible rock waterfalls for your yard's landscape. 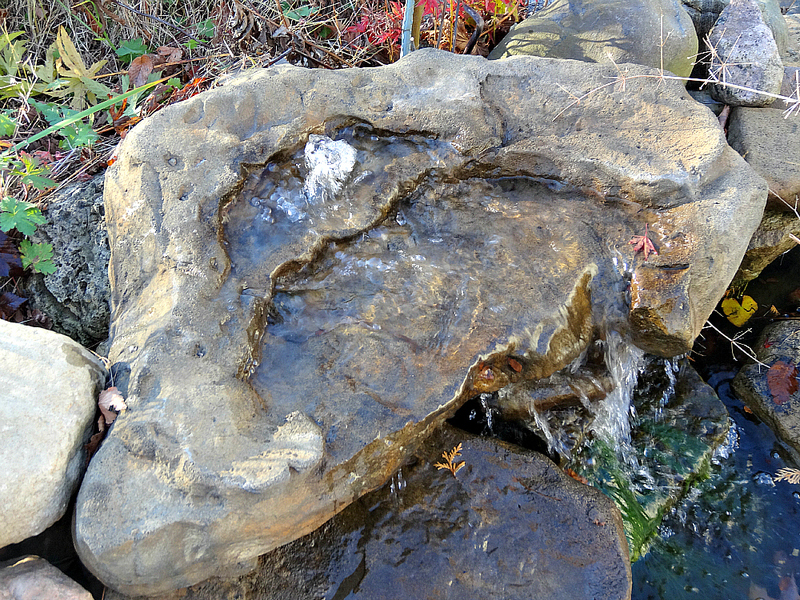 This cascade waterfalls only weighs a mere 7.5 pounds but using real rock could be estimated at about 447 pounds. These artificial waterfalls are fabricated from a combination of polymers for excellent properties and characteristics for the ultimate outdoor waterfalls. With our spectacular waterfalls we can make your waterfall dreams finally turn into reality for your very own decorative water garden oasis. Please Note: Additional waterfall rock coloration and makeup is further explained in our rock waterfall matrix.